FLIR Completes Strategic Investment in DroneBase | FLIR Systems, Inc.
ARLINGTON, Va. & LOS ANGELES--(BUSINESS WIRE)--Apr. 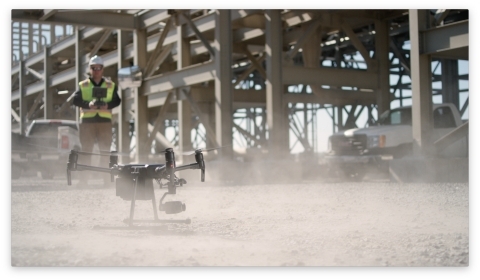 10, 2019-- FLIR Systems, Inc. (NASDAQ: FLIR) and DroneBase, Inc. announced today that FLIR has made a strategic investment in DroneBase, a global drone operations company that provides businesses access to one of the largest Unmanned Aerial Surveillance (UAS) pilot networks. The investment establishes FLIR as the exclusive provider of thermal product solutions and as the official small UAS thermal imaging training provider for the DroneBase enterprise pilot network through the FLIR Infrared Training Center (ITC).